...While Mulligan, who has been with 10 NFL organizations since 2008 and played in eight games for the Detroit Lions last fall, is unsigned as the new season enters its first weekend, football remains his profession as he continues workouts in case another opportunity arises. “I’ll stay in shape for this year, for sure, and wait and see if anybody will eventually pull the trigger,” said Mulligan. “We’ve spoken to multiple teams and they’re all interested. They all want to know if I’m in shape, but right now they’re giving what they have a try. ...Tshimanga is one of four former Black Bears in the CFL. The others are Ottawa backup quarterback Dan Collins and defensive back Sherrod Baltimore and Hamilton wide receiver Damarr Aultman. He said the game is quicker than it was in college and he has had to make the transition. “Your reaction time has to be a little faster, but I think I’ve adjusted pretty well so far,” Tshimanga, who plays on all the special teams and started several games at linebacker because of a rash of injuries sustained by the Eskimos, said. 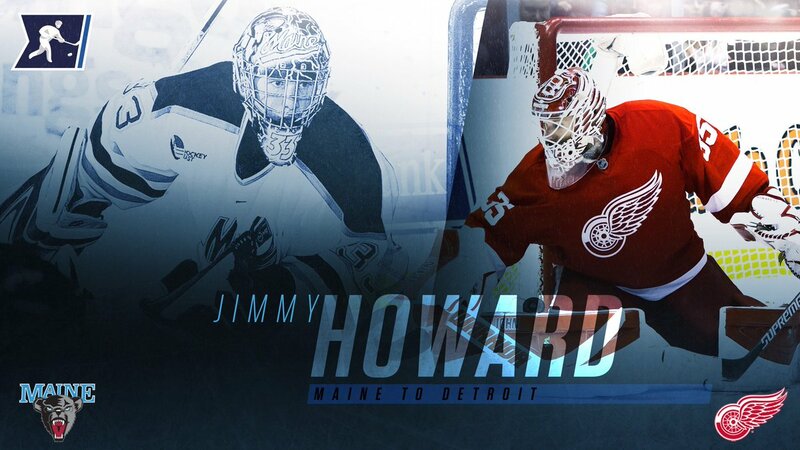 Congrats to @MaineIceHockey alum and @DetroitRedWings star Jimmy Howard on winning his 200th NHL game tonight in net. ORONO, MAINE (WABI) - Former UMaine football player Mike Flynn will become the 5th person in the UMaine Football Ring of Honor this weekend. Flynn played for the Baltimore Ravens for 10 years and won the Super Bowl in 2001. He was on campus this afternoon…. Congratulations to former Black Bear captain and d-man Will O'Neill on making his #NHL debut tonight with @NHLFlyers! O'Neill becomes the 53rd Black Bear to make his #NHL debut. : In just 48 hours, our very own Paul Kariya will be inducted into the NHL Hall of Fame...let's take a look back at his time in Orono! ICYMI: Last night, Paul Kariya was inducted into the Hockey Hall of Fame.